Last week we offered highlights of our 1-On-1 interview with Nicole Walters, former Program Manager of the San Diego Venture Group, who discussed her non-profit’s success in engaging both members and sponsors by staying relevant and taking a relationship-focused approach. But our interview discussion also provided insight into the importance of being both flexible and personal in recruiting and retaining members. So here are more clips from our interview with Nicole Walters. As Nicole told us in our interview, San Diego Venture Group has been around for almost 30 years and has close to 800 members. This non-profit supports capital formation in San Diego in the high tech and life science industries by offering 11 large programs throughout the year for networking and education purposes, as well as matchmaking to connect companies with venture capitalists in the San Diego area. Wild Apricot: Can you explain a little bit about some of your membership recruitment efforts? Nicole Walters: Our meetings themselves act as our recruitment for members, because they really showcase the value that we can offer. So if someone is interested in the organization and shoots me an email or gives me a call, and they want to learn more about what we are all about, I will give them a first time free ticket to the next event. I'll tell them to come be my guest, come check us out, and if you're interested beyond that, I'd be happy to sign you up as a member or answer any other questions you may have. And to touch on the point about retaining members, do you have a process where you're sending out email communications or something in the mail? Luckily, people really enjoy being members of our organization. And when I joined a few years ago we really changed the process of how we retained our members. So now we will contact somebody a month in advance, you know, "your membership's about to expire," and we will contact them the next month, "your membership expires this month." Then we will also contact them a month later saying, "you know, we've missed you, your membership has lapsed, we hope to continue our relationship with you." So I think it's about being flexible and letting people know on a personal level, rather than just an automated email. And let's say they don't respond after that third point of contact. What happens then? 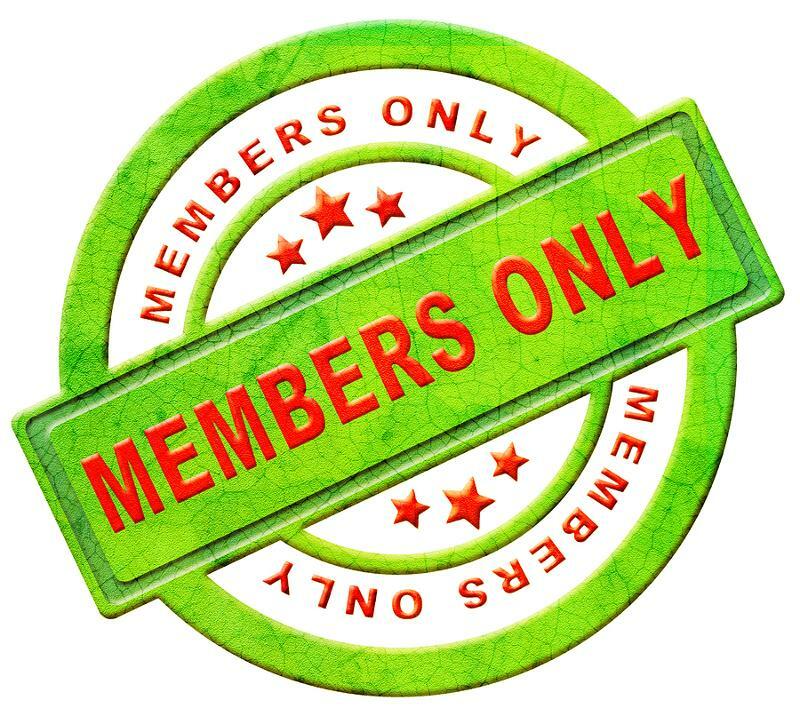 What happens then is we have their membership lapse, so they are no longer recognized in the membership directory and they can no longer register as members for events. However, they do stay on our email marketing campaign list. So they still get notifications for all of our events. So they're still informed, but we don't want to be too pushy and sell them on a membership. Again, it's like the sponsors. We want it to be beneficial for them as well. So if it's not beneficial for [members], we don't want to be pressuring them into renewing. Let's say you get a new member, perhaps through one of your events. What do you have in place to welcome a new member? Do you send any kind of special communication to them? I do send them a personalized welcome email so that they know who I am right off the bat, because I will be the one welcoming them at the events, I'll be the one helping them with any issues they have with their account. So rather than a generic email from the organization, thank you for joining, it's a very personalized email. "I really look forward to meeting you at the next event, if there's anything I can do to help. If you'd like to get more involved in the organization please let us know. Here's our social media outlets," and really just try and let them know about all the resources that we have available. And sometimes people don't respond, and then sometimes people do want to get more involved and we will put them on a list if we're looking for committee members. Your organization is built around events where the member value is mainly the networking. So how are you ensuring that those attending have an opportunity to meet with as many people as possible? We do a couple of things, and we’ve been evolving these over the past couple of years. One thing that we do is have an associated students program. Every time someone registers for an event, we include an optional question – which is easy to do through Wild Apricot – asking if they would like to be a student host. We partner with some universities here locally with students who are wanting to learn how to network and learn about this industry. So we ask our attendees to show that student around. This helps a student, but it’s also a great way for that member to network with more people than usual, because they are introducing the student around. Another thing that we do is ask people if they would like their contact information shared with the other attendees. So, on our website we will say that we will have 202 registrants for this event, and you can go in and see who is registered. This helps attendees target their networking at the event ahead of time. You also mentioned about the matchmaking for people within your organization. How does that work? The way that process works is we bring in a bunch of venture capitalists, or a few partners from their firm, who are looking to invest. We ask them specifically what they're looking to invest in, because usually they have a niche market that they're interested in. When we get that information, we will put a call out for applications through email marketing, through our social media and through our community partners. We say, not only is this VC coming to town and wants to meet with companies and they have money to invest, but this is what they're looking to invest in. So if you match these criteria, we encourage you to apply. And then from there we have a selection committee made up of our board members and sponsors who narrow those companies down, because they're familiar with the companies here in San Diego, and know if they really do meet that criteria. And then we'll send a small batch of those companies, maybe like 15 plus companies, to the VC and then let them choose who they would like to meet with, whether that's two companies, or 10 companies. So, they will let us know who they want to meet with, and then we will facilitate those meetings and get that all coordinated for them. Do they have to be a member to participate in this process? They do not. You just have to be a local company. So we have benefits for our members, but overall we're here to benefit the community. So we would not exclude anybody from that process if they're a San Diego company. You have a good support structure in terms of support from the board and the president. But what would you say are the biggest challenges of working in a small membership organization? I think some of the biggest challenges are coordinating a lot of different people, and working on a lot of different programs at the same time. So it's always thinking in the future in coordinating a lot of different committee members, and everybody's schedules are very busy. So that's a little bit difficult. And then beyond that as much help and as wonderful as all our committees and everything are, we always have new ideas, and sometimes we can't execute on all those ideas because we are such a small staff. So sometimes you really just have to prioritize and say, okay, well maybe we'll do that next year, or maybe we should put some time into that, but right now is not the best time. There are always new ideas, and sometimes it's a little difficult when you can't execute on everything that you want to. 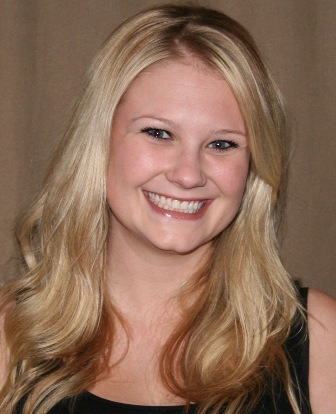 Our thanks to Nicole Walters for sharing her insight as a member of a small-staff membership organization. For more information on keeping your members coming back for more, check out this post. If you missed the first in our two-part blog series of interview highlights, you can read it here: 1-On-1 With Nicole Walters: Relevance Rules in Engaging Members & Sponsors. We're continuing our Advisory 1-On-1 series interviews and blog posts to enable sharing of ideas, insight and best practices among membership peers in small associations, clubs and non-profits. Stay tuned to this blog for future series posts.